I decided to take a gander at my rather large box of abandoned projects. 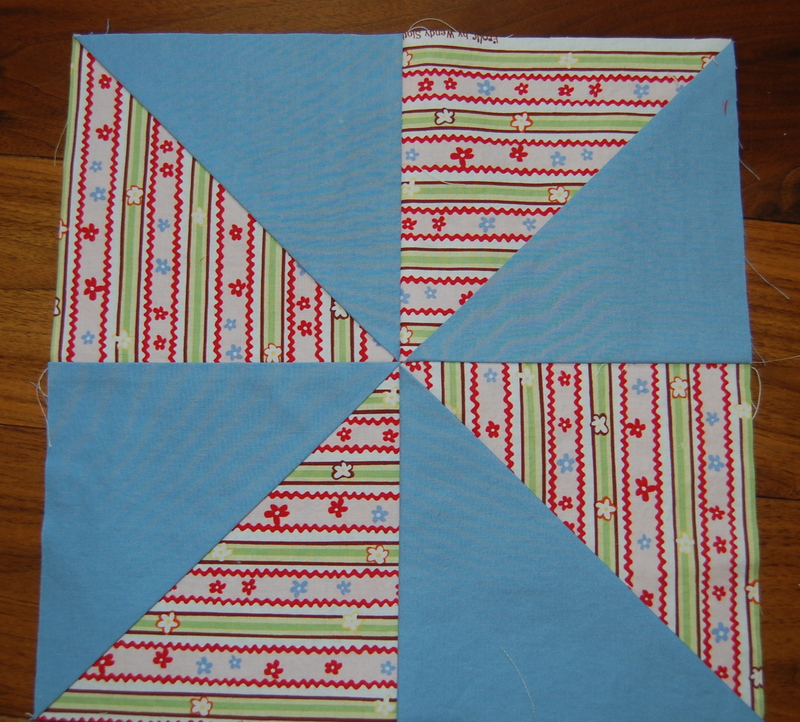 In it I found the only pinwheel blocks I have ever done. I think I was playing around with trying out more basic, traditional blocks to practice matching points, and following directions (neither of which I am very good at doing). 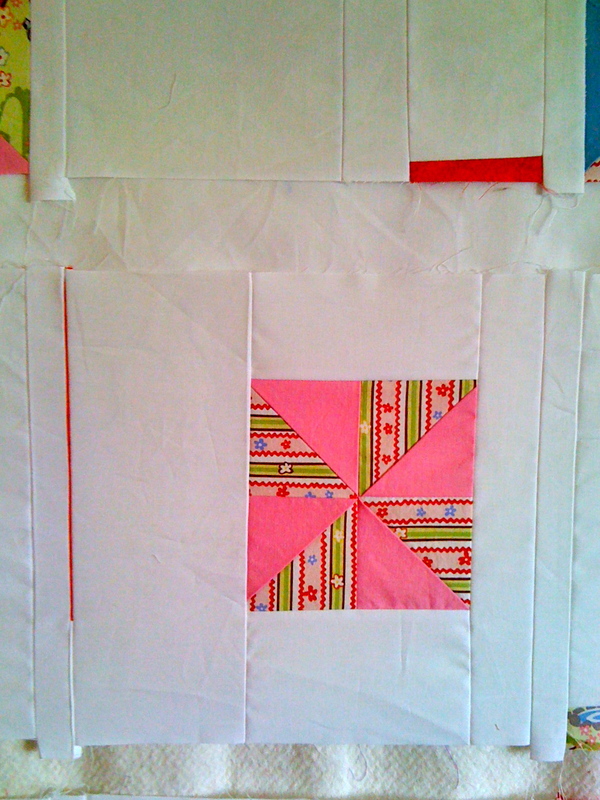 I found this tutorial -one of her most basic- and came up with lots of blocks. but never could bring myself to commit to it; that was just way too much of a good thing in my opinion… So the entire project was banished to the UFO box!!! Dun, Dun, Dun, Dun!!!! A place where bad ideas go and are usually never seen or heard of again! 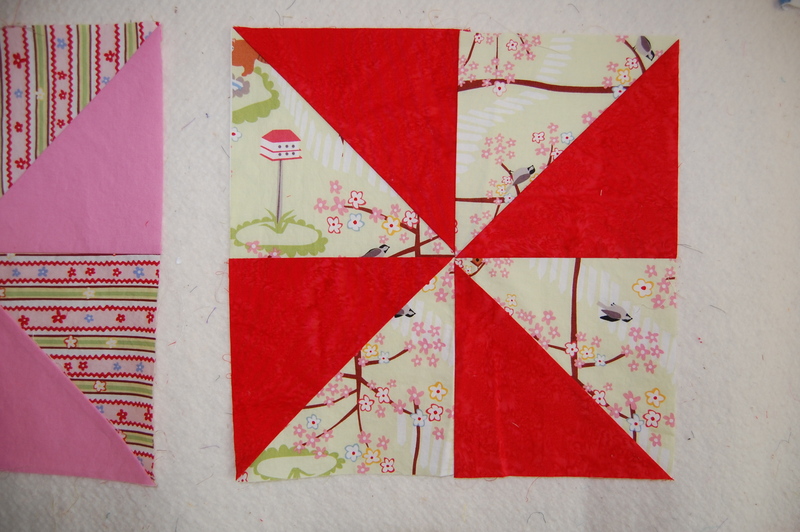 Flashforward about a year when I discovered these sweet little pinwheels and decided to breathe new life into them. Sorry for the really poor quality photos- my camera seems to be MIA at the moment- in the shop!. 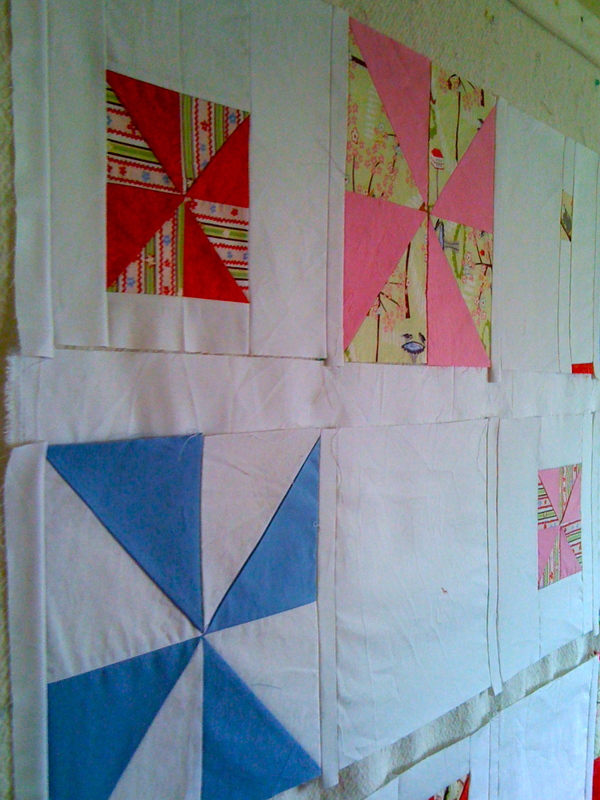 I decided to take out a bunch of the pinwheels and create some more random wonky, improv pieced blocks all 12.5 inches. along with some blank white blocks to add some more negative space to the piece. 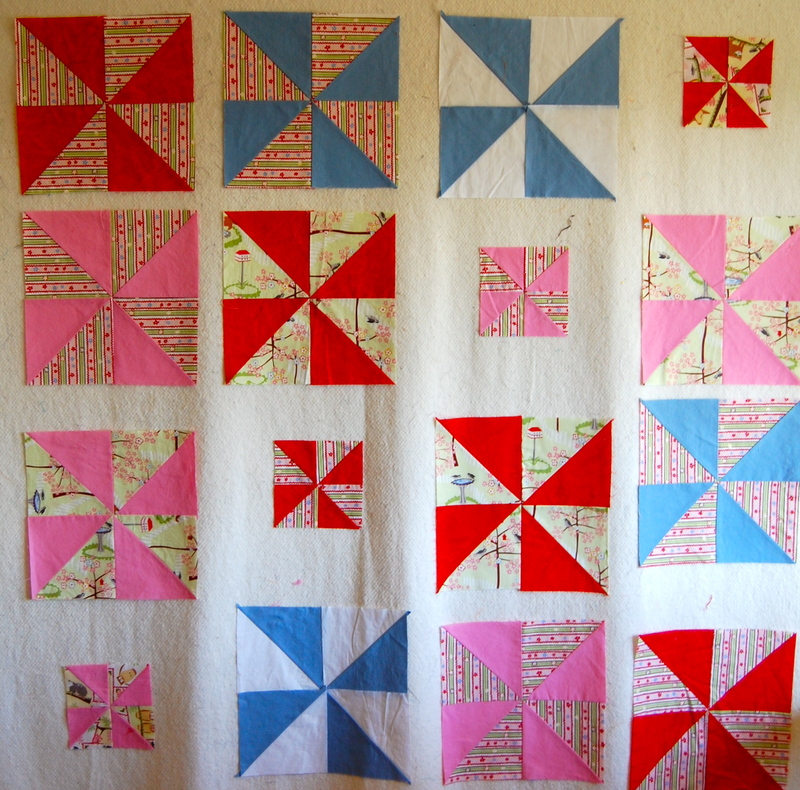 I really like the traditional pinwheel block intermingled with my own minimally pieced wonkiness and a hefty dose of negative space. 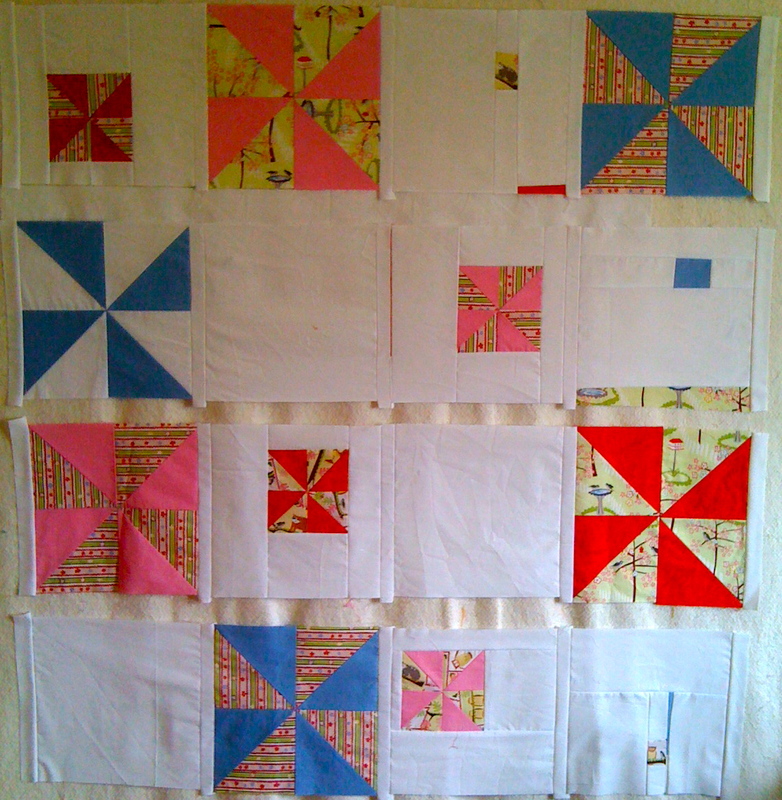 I just need to fill in the rest with some more white sashing and likely a couple of random bits of blue/red(trying to keep that pink to a minimum), and then a I’ll have a finished quilt top ready for the next step. This finished quilt will be for my youngest daughter. They all got a quilt from mamma on their third birthday. Hers is coming up fast so I need to stay focused. 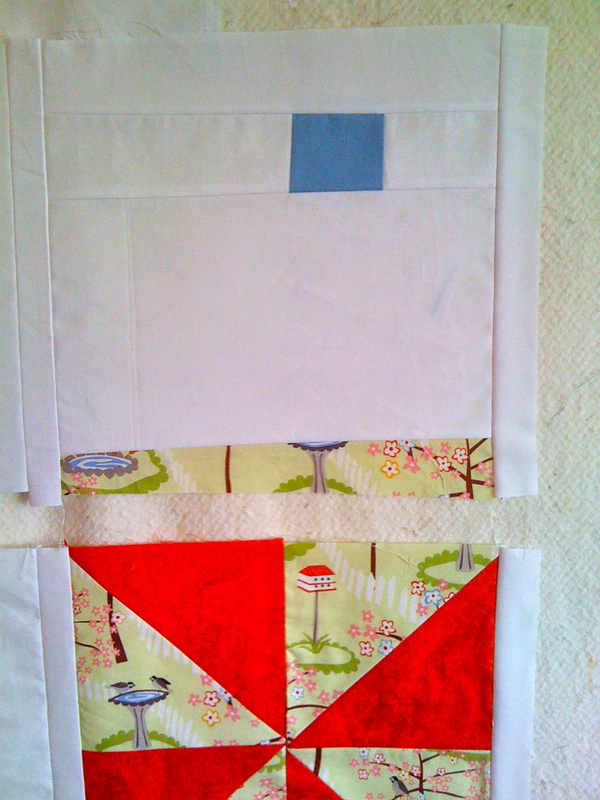 I’m glad I came back to these little lovely blocks and found a way to make them my own. 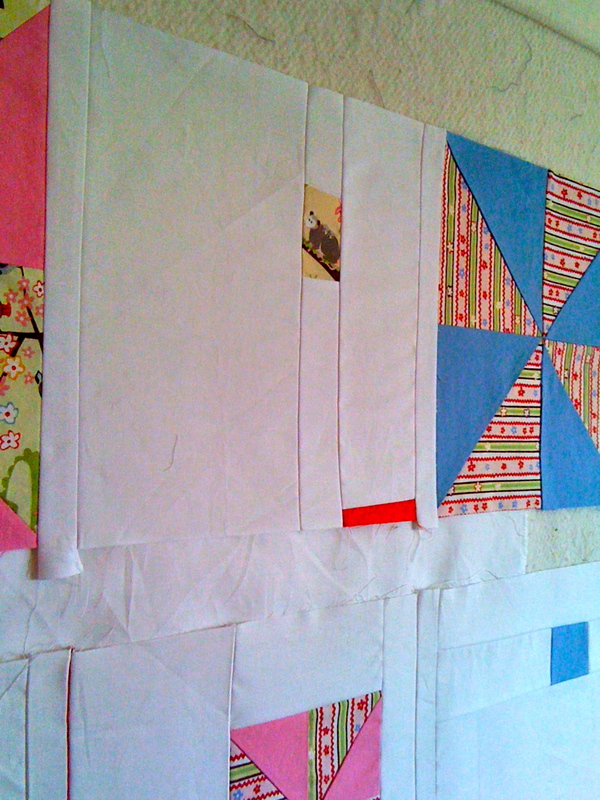 Not sure what I’ll do with all the leftovers, maybe some pillows or dolly quilts?? Love what you ended up with — the way you made the traditional your own. Such an inspiration! Isn’t that the way we should do most things — make them our own? Just love reading each of your posts. Keep up the great work!! Yhe pictures are still pretty good with the iphone. I really do like these Pinwheels, especially the first one. Can you save one for me, or better yet, teach me how to make my own when I am at the house for an extended amount of time visiting. Which will be soon, bacuse I will only be about 5 hours away from you. We are so excited!!!! love love love that wee strip.